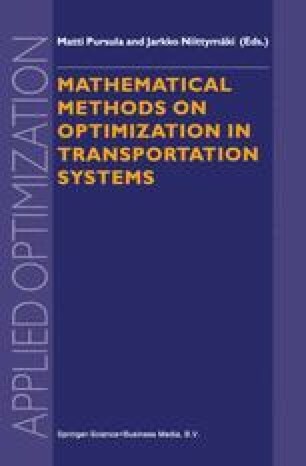 This paper deals with the scheduling of buses and drivers for ex-urban service with bus-driver dependencies—a corporate rule influencing solution structure and methodology. An integration of crew rostering into a combined vehicle and crew scheduling process is proposed. A scheme letting five drivers share two buses is developed: The trips served by two buses during the week are partitioned into five rosters for drivers, who rotate by interchanging their rosters weekly. Heuristic components are presented which construct sets of rotations in a multiple-depot problem setting, where each rotation consists of one or two feasible driver shifts. These components are then combined to solve the problem. A two-phased strategy computes rotations for workdays and weekend, then groups them into weekly schedules for drivers using the twobus-five-driver scheme. A best-group-first strategy rather merges both phases: Each iteration builds ‘principle rotation parts’ of the ‘best’ weekly schedule of a driver group with the same home depot. The rotations are then completed in several passes. Computational results are presented and discussed.